Scalar chain refers to hierarchical arrangement an organization must have. Hierarchy is an order of importance with in-built levels of importance. 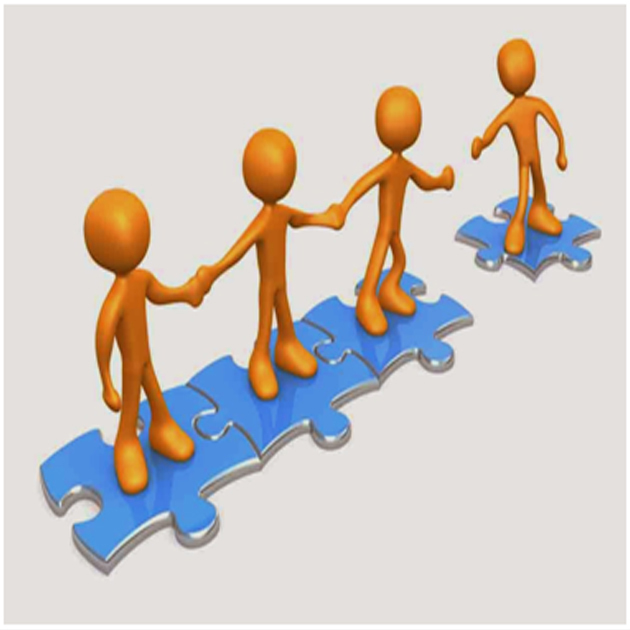 In an organization, all are important, beginning from a low level employee to the managing director with each one assigned with some task of importance. Hierarchy does involve progressive levels of authority implying with certainty progressive stages of reporting. It only means an employee knows where he is in the organization and to whom he should report immediately above him. This reporting system carries much weight in the organization since effective communication and sustained business are mutually interdependent. Reporting system clearly defines path of communication under general circumstances. Fayol was particular that the scalar of chain must be strictly adhered to in any organization whenever information has to be passed on to the superior authority and the chain of command must not be broken. The point can be clarified with the help of a popular diagram. Under normal circumstances, if D has to communicate with G, he has to follow the path shown in the diagram; he must go up through C to A and then go down to G through E and F.
But the Gang Plank concept permits D to communicate with G directly under emergency. If the regular path is followed even during emergency, by the time, the information reaches G, it would have become too late to remedy the situation through proper action. The decision will be reached a day late and a dollar short. 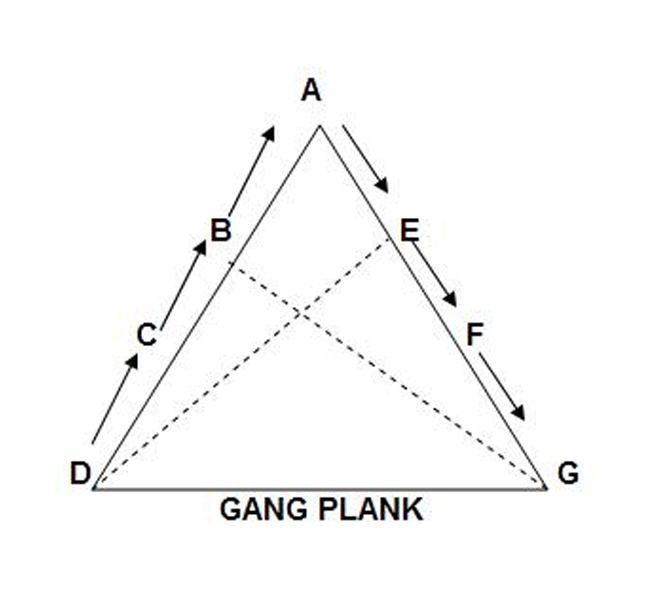 The limitation of the scalar chain was set right with the concept of Gang Plank. According to this concept, two executives of the organization of different departments at the same level can communicate directly in case of emergency, so that speedy decisions and actions could be taken. In case of the above example, if employee �C� has to contact employee �G�, he can easily and directly communicate the information to �G� using this Gang plank (�C��G�). This reduces a lot of time and helps in effective performance. In other words, it points to a very important fact in the process of management; there is flexibility when needed. The right action at the right time in the right way is the primary goal of the process of management. And Gang Plank reflects the right insight into the administrative strategies.